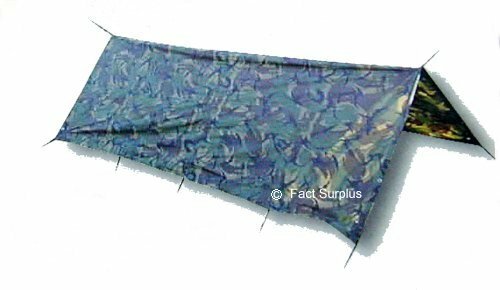 The basha makes a versatile shelter, sleeping bag cover or emergency carrying sheet. 9 reinforced loops around the edge, brass eyelets at corners and middle. 265 x 175cm, fully waterproof tough double PU coated nylon. Weight 640grams. 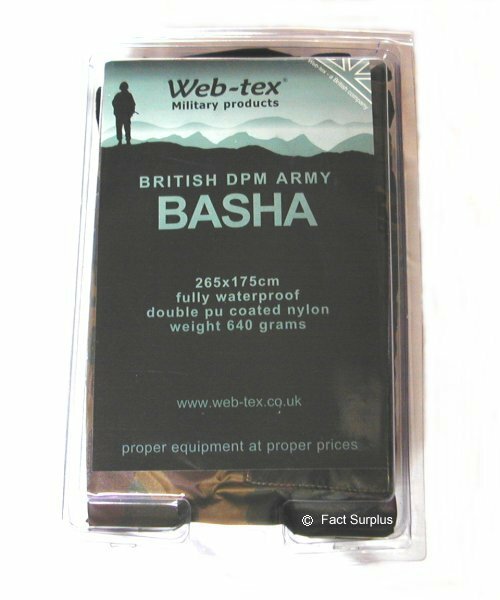 Put up your basha between trees or other stationary objects with 7mm Purlon along the apex and tie down with 3mm Purlon and pegs. In windy or wet conditions peg right down the side of the basha facing the prevailing weather to give more protection. 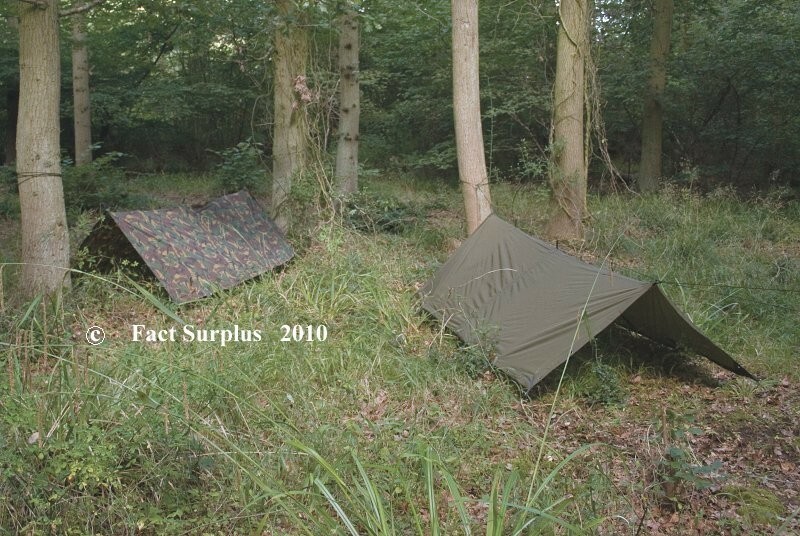 Can be used with a sleep mat and bag on the ground or higher off the ground with a hammock, as favoured by Ray Mears.